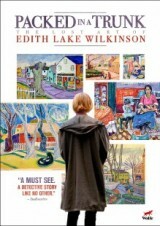 Like a fast-paced detective story, Packed in a Trunk: The Lost Art of Edith Lake Wilkinson celebrates the life of Edith Lake Wilkinson, a gifted and prolific lesbian artist who, in 1924, was committed to an asylum. All of Edith’s worldly possessions were packed into trunks and she was never heard from again (objections had been raised at the time about Edith’s “close and constant contact” with her longtime companion Fannie). Edith’s great-niece, Jane Anderson (Emmy Award-winning writer & director) grew up surrounded by Edith’s paintings after her mother discovered the trunks in their relative’s attic and rescued the work. This delightful film follows Jane and her spouse Tess in their efforts to find answers to the mystery of Edith’s buried life, return her art to Provincetown where she once lived and thrived, and have Edith’s contributions recognized by the art world. Posted May 16th, 2016 & filed under Movies.